At C&S Fire-Safe Services, LLC, all of our technicians receive specialized training to provide you a unique, positive customer experience. Every team member’s goal is to understand your business’s specific fire safety needs so they can customize a solution that protects your business, employees and customers. Whatever type of fire safety equipment your Oregon area business needs, C & S Fire-Safe has it. From testing emergency lighting to installing a clean agent fire suppression system, we keep your business, your employees and your customers safe. C & S Fire-Safe has been a premier provider of kitchen exhaust cleaning and kitchen fire suppression systems since the late ’70s. Today, in addition to restaurants, C & S offers fire protection and safety services in many industries, including: retail, hospitality, marine, healthcare, education and government. 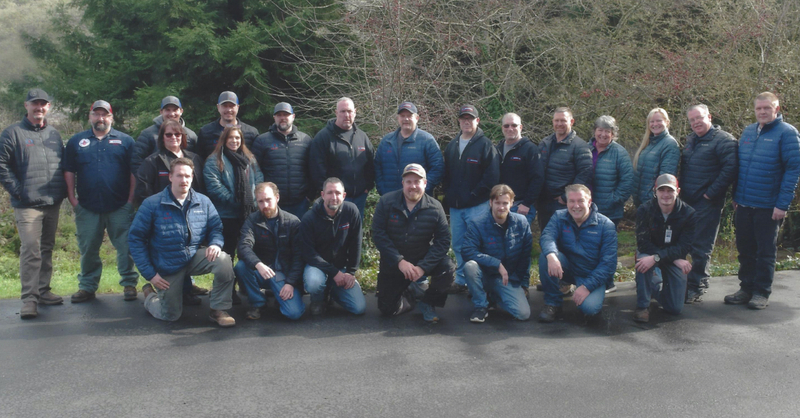 At C & S Fire-Safe, fire safety and protection has been in our blood since we started in the Roseburg, OR area back in 1977. Our founder, Cliff Potter, began a chimney cleaning business for residential services. After several years, we transitioned into serving the fire protection needs of restaurants in the area. In the late 1980s we began offering all types of fire protection sales, inspection & services to a variety of businesses. Today, C & S Fire-Safe is the premier, full-service fire protection company in the area and is licensed, bonded and insured. We take pride in the quality of our customer service and the responsiveness to customer needs. We perform every inspection, testing, maintenance, installation or repair job with integrity above all else. Our customer’s satisfaction is our top priority. We want to be your partner for your business fire safety needs.